For winter, this is a sweet tale of a sparrow sleeping behind a chimney in the snow, trying to stay warm. "Put another log on the fire, let us keep the sparrow warm." 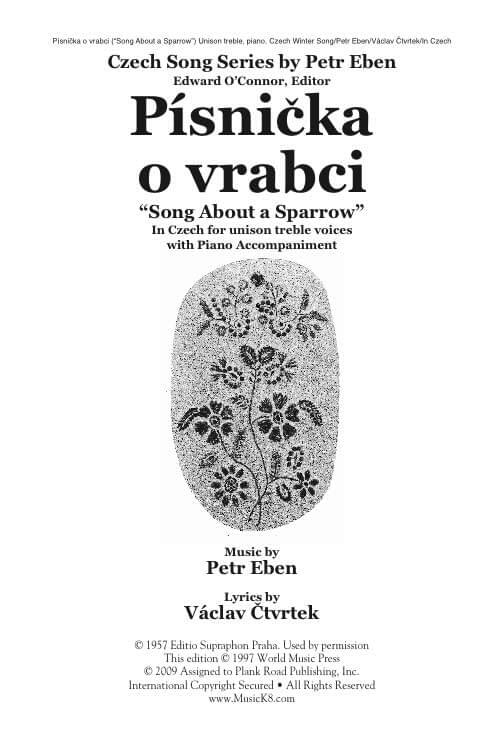 With words and music by Petr Eben, this tune is in Czech with English translation and cultural context. Treble unison voices; rich piano.